& was wondering if anybody new anything about them? I think he's a member here, nice looking pods and great prices. Justin done made the vendor vault! Woot woot! I highly recommend ordering form Justins site having met him here in THP & checking out his site I know you want be disappointed . Edited by Plantguy76, 18 March 2016 - 09:16 PM. oh nice didn't know he had a site. 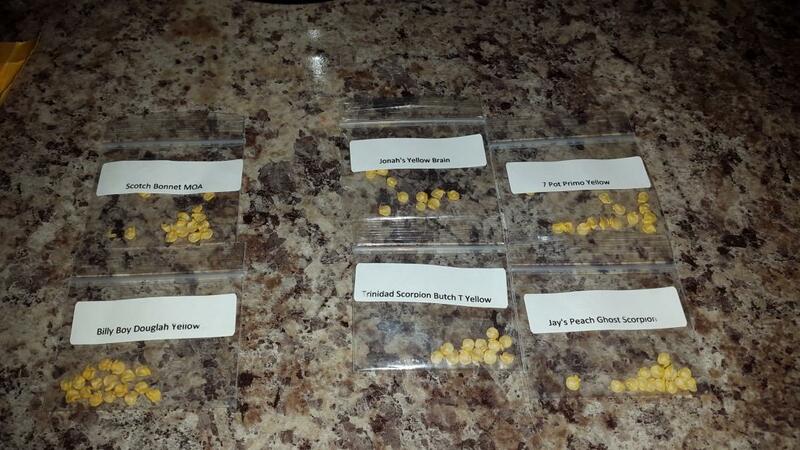 Justin's seeds are hard to beat, congrats on the site, lots of bang for your buck. Knowing the quality I'm surprised he isn't sold out of everything! Bought from him before. Prompt delivery with freebies and the price is simply impossible to beat! Damn. That price is simply unbeatable!!!! I met him on FB over a month ago and ordered seeds from him, I already had all my grow started so wont be sowing the seeds from him till next year. You cant really beat his prices and I was extremely happy with his selection! Wow. Incredible prices. Just placed an order. Thanks for sharing. As did I. Great selection and prices. Thanks for the info friends!!! Prompt delivery with freebies and the price is simply impossible to beat! Placed an order over the weekend. It shipped extremely fast and will be here today. I am looking forward to growing these. I ordered BOC and his mystery volunteer. Can't wait! Update. Shows out for delivery but post office didn't send it out with todays mail. If it doesn't show tomorrow, I am going in. Edited by ThePepperTrent, 05 July 2016 - 02:19 PM. Mystery volunteers are always fun. After reading all the praise here and seeing those criminally low prices I couldn't resist my urge to stock up seeds for the next season anymore and placed an order. Especially excited for Habalokia Peach Lavalamp, although that's mainly due to the name. Justin is the real deal. I oredered some choco bubblegum seeds (long) got some awesome freebies. Low shipping for foreign orders. Edited by Noah Yates, 13 September 2016 - 11:00 AM.